Be Done with Head Lice Today! 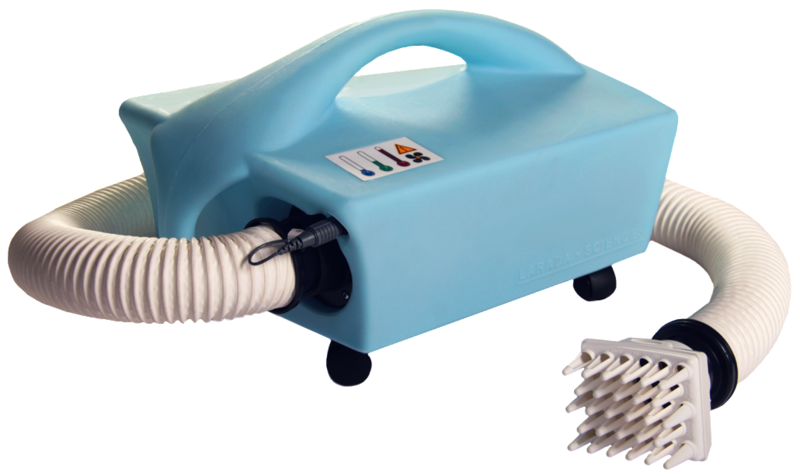 AirAllé™ heated air technology zaps lice and nits immediately! This FDA-cleared medical device kills lice and 99.2% of eggs/nits on day one! 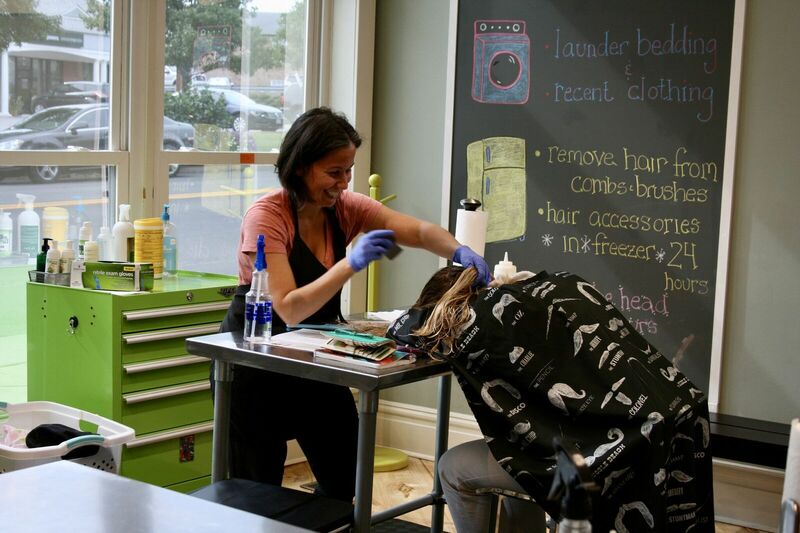 The service includes a detailed comb-out to remove dead lice and nits. There may be an additional service charge for very long hair, very thick hair, or severe infestations that require over 1.5 hours of combing. Head lice screenings for additional family members are $15 per head when completed on the day of initial treatment. 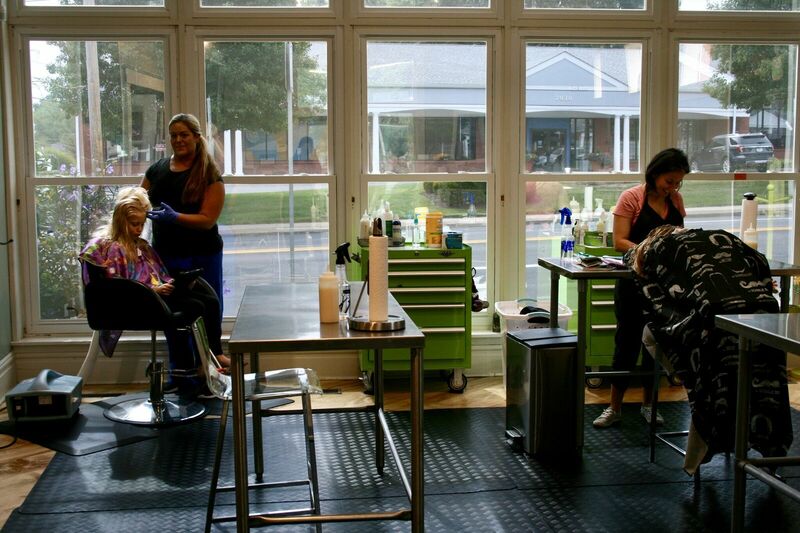 For our clients who do not qualify for the heat application, we offer comb-outs and a non-toxic lice killing treatment. Traditional treatment combines our expert combing techniques and tools with an excellent non-toxic lice-killing product. This can be an inexpensive option for those who have light cases or short hair. $100 per hour (charged in 1/4 hour increments). Requires a second treatment 7 days later. Are you worried that you or your child have lice? Don't wait, we can tell you with a quick 5-15 minute appointment. $25 for first person in the household and $15 for additional family members within the same household. Fee is waived for an individual if lice is identified and treatment is elected. Everyone in the household should arrive with clean, brushed hair with no hairspray or other products in the hair to make it easy to comb. Parking and entrance is in the back of the building. If you can, please print and complete this registration form (this can also be done at the salon). First, don’t panic. These bugs infest hair, and not houses. Gather used bedding, towels, and hair ties for laundry using a hot dryer setting. Take used hair brushes, remove any hair, and wash with warm, soapy water. After treatment, be sure that everyone is sleeping on fresh bedding. It’s Midnight … What Do I Do? When you discover lice, it’s likely that you have been living with it for a while. It won’t hurt you or cause any medical issue. Our shop is closed right now, but go ahead and call us at 314.329.5423 and leave a message with your name and number, explain your situation, how many family members need to come in, and the times to you have available tomorrow. We will call you back first thing in the morning and everything will be taken care. We understand it may be emotional or uncomfortable right now, but don’t try to solve this problem in the middle of the night. Put the kids to bed and get some sleep! Your problem will be solved tomorrow! 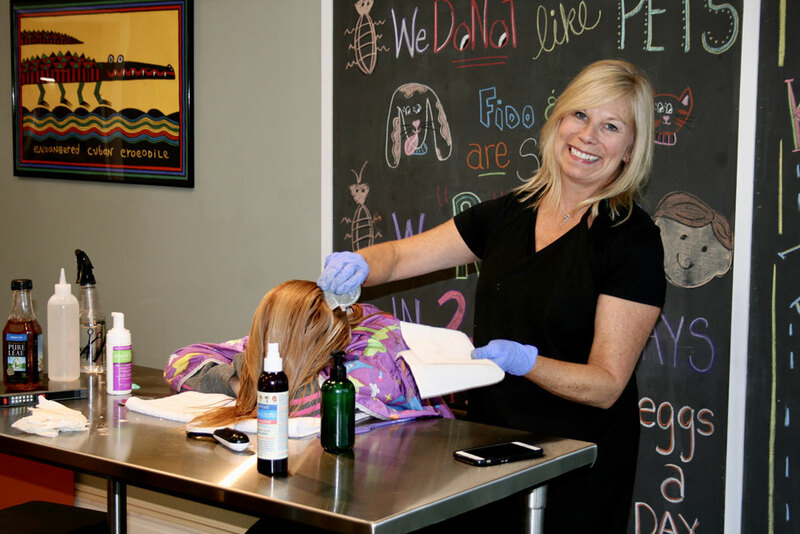 Lice Busters is committed to ensuring your success with head lice treatment. 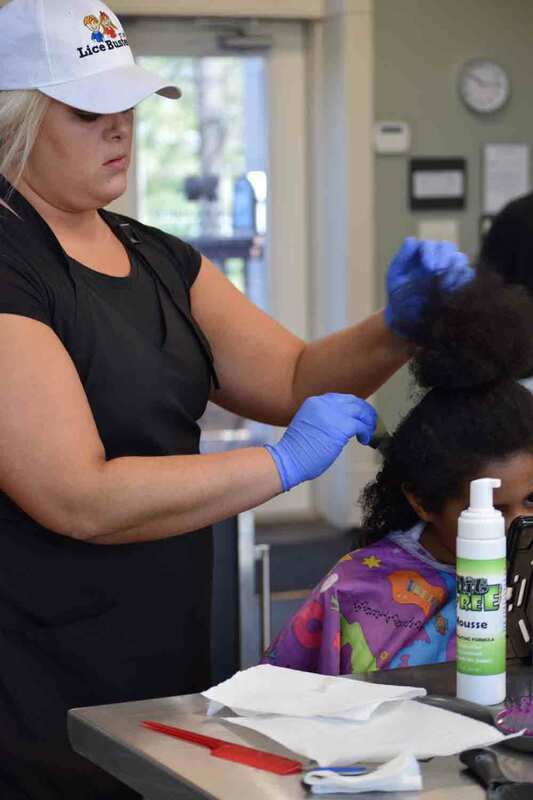 For clients who receive the heated air head lice treatment and full comb-out, if active head lice are found on the client upon their return visit, which must be within 5-10 days of the initial treatment, then Lice Busters will re-treat at no cost. Treatment type will be based on Lice Busters discretion. Lice Busters will also schedule a 2nd complimentary follow-up appointment within 5-7 days. All family members in the household (or both households if client lives in two households) are screened by Lice Busters St. Louis. All individuals positive for head lice are treated by Lice Busters St Louis. Affected clients return for their complimentary re-checks (if heat elected) or second combing treatments within 7-9 days of initial treatment. Sometimes stubborn nits are still left over after home lice treatments. We can quickly and efficiently remove the nits for you. Thorough and detailed professional comb-out to remove all traces of lice. $100 per hour (charge in ¼ hour increments). Average head takes under an hour, although length of hair, thickness of hair and amount of nits can extend or reduce combing time. If you are in need of a house call, we can come to you. Mobile appointment scheduling is limited and you will have only one technician, rather than multiple technicians, working on your family. Treatment and screening pricing are the same, however there is a minimum $100 charge for travel to your home.